Transferring messages from your old iPhone to the latest iPhone XS/XR/X seems to be pretty hard. However, four extremely easy ways are listed here to help you transfer messages between your iDevices. Congratulations on getting a new iPhone! While your new smartphone might come with lots of features, almost every user struggles to transfer data from their existing to new iPhone. I remember getting a new iPhone XS and the first thing I had to do was Google “How to transfer messages from iPhone to iPhone XS without iCloud”. If you also have a similar query and would like to transfer messages from old iPhone to new iPhone XS, then this would be the last guide that you will read. After performing an extensive research and trying different tools, I have handpicked the 4 best ways to transfer iMessages from iPhone to iPhone XS. Read on and learn how to transfer messages from one iPhone to another like a pro! Part 1: How to transfer messages from iPhone to iPhone XS without iCloud/iTunes? Part 2: How to transfer messages from iPhone to iPhone XS using iCloud? Part 4: How to transfer messages from iPhone to iPhone XS using iTunes? As you can see, it can be quite tough to transfer messages from old iPhone to new iPhone XS with iCloud. Therefore, a lot of users look for simpler and more effective alternatives. 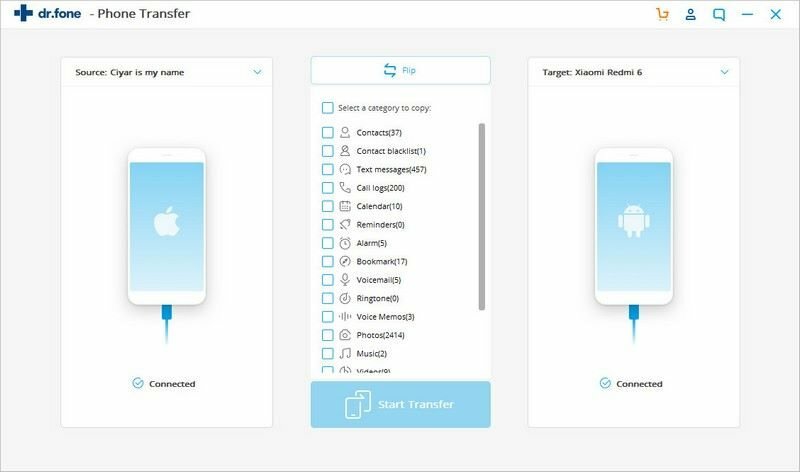 If you wish to transfer your messages from one phone to another with a single tap, then consider using iSkysoft Toolbox - Switch (iOS&Android). The application can perform a direct device to device transfer. Not only messages, it can also transfer your photos, call logs, contacts, videos, and more. The tool is compatible with every leading iOS and Android device and can even perform a cross-platform transfer of data. In this way, you can transfer messages from iPhone to iPhone XS without backup. 1. To begin with, install iSkysoft Toolbox - Switch (iOS&Android) on your Mac or Windows PC by visiting its official website. Launch it whenever you wish to transfer messages from old iPhone to new iPhone XS. 2. Connect both the iOS devices to the system using authentic cables. From the main screen of iSkysoft Toolbox - Switch (iOS&Android), choose the “Switch” feature. 3. The application will automatically detect both the devices and will list them as either source or destination. Your existing iOS device should be marked as Source while the new iPhone X/XS/XR should be the destination device. If not, click on the flip button to interchange their positions. 4. Now, select the type of content that you wish to transfer from one device to another. Make sure that the option for “Messages” is turned on before clicking on the “Start Transfer” button. 5. As soon as you would click on the “Start Transfer” button, the application will begin the transfer. In no time, your selected data will be moved from the source to the target device. 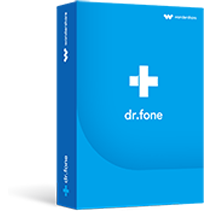 In the end, you can safely remove both the devices and access the newly transferred data without any trouble. 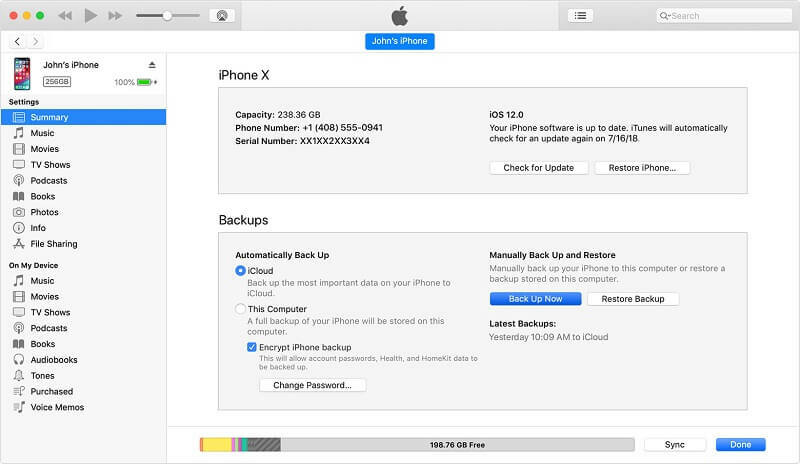 Apart from learning how to transfer messages from iPhone to iPhone XS without iCloud, you can also use the application to take a backup of your data (or restore it afterward). If you have been using your iOS device for a while, then this would be the first thing that might come to your mind. By default, every Apple user gets a free space of 5 GB on iCloud. If you have some free space on your iCloud account, then you can easily transfer messages from old iPhone to new iPhone XS as well. Before you proceed, please note the version of iOS on your existing device. The way we backup our messages on iCloud is a bit different for devices running on iOS 11.4+ and the previous versions. Though, you should know that when we backup messages on iCloud, it would include MMS, text messages, and iMessage content. 1. Unlock your device and go to its Settings > iCloud. 2. From here, visit the “Backup” option. 3. 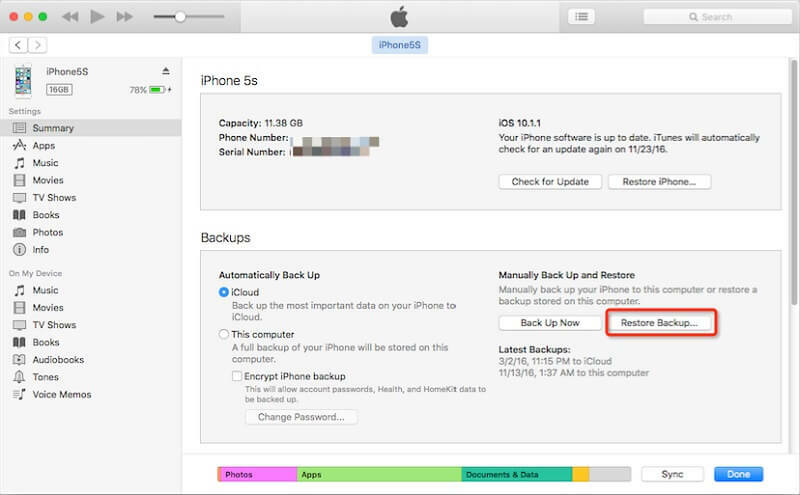 Make sure that the option for iCloud backup is turned on. 4. To take an immediate backup, tap on the “Backup Now” button. 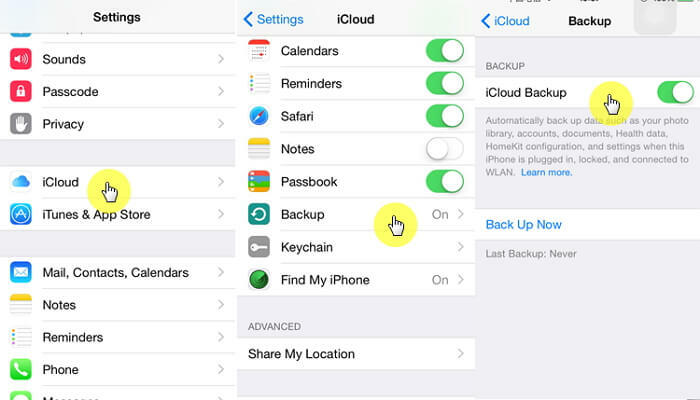 From iCloud settings, you can further turn on/off the type of data you wish to backup on iCloud. 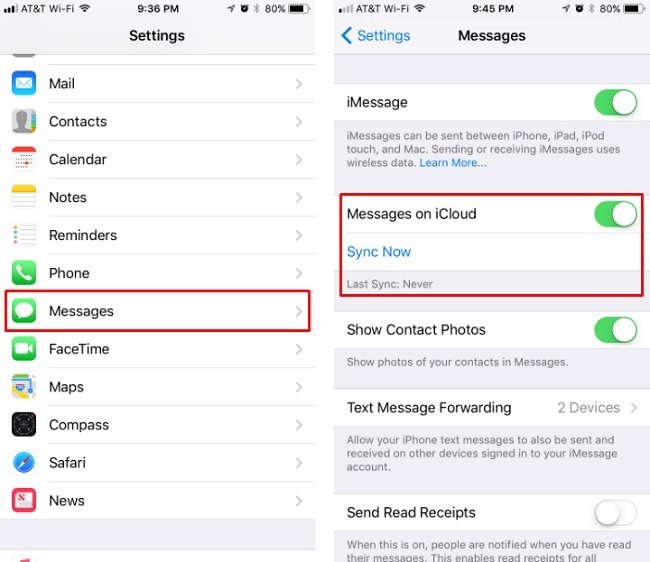 If your device has been upgraded to iOS 11.4 or any later iOS version, then you can use the “Messages on iCloud” feature instead. This will sync your messages across multiple devices (iOS and Mac). In this way, you won’t have to go through any unwanted hassle to transfer iMessages from iPhone to iPhone XS. 1. Just unlock your device and go to its iCloud settings by tapping on your Apple ID. 2. From here, you need to make sure that the “Messages” feature is turned on. This will sync your messages with iCloud. 3. Alternatively, you can also go to your phone’s Settings > Messages as well. 4. Turn on the “Messages on iCloud” feature and tap on the “Sync now” button to immediately sync your messages. Please note that this technique will sync your messages (instead of taking their backup). Therefore, if you delete a message (or an attachment) from one device, the changes will be reflected everywhere. If you wish to transfer messages from old iPhone to new iPhone XS, then only taking their backup won’t be enough. You need to restore the existing backup to your iOS device as well. 1. 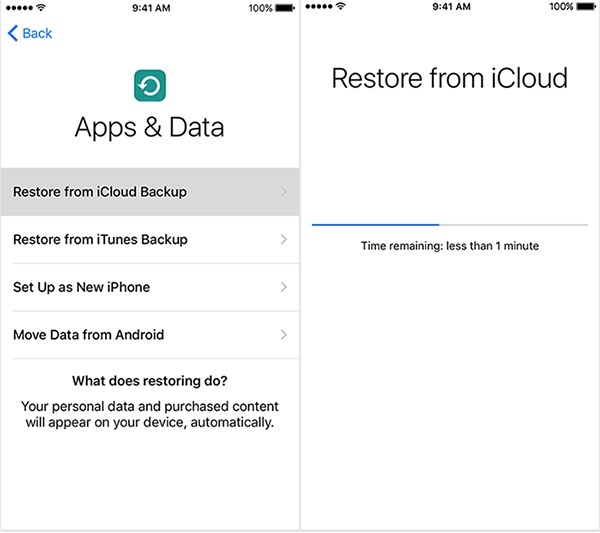 While performing the initial setup of the device (turning it on for the first time), you can choose to restore an existing iCloud backup. If you are already using it, then you need to factory reset it first. 2. Log-in to the iCloud account where the previous backups are stored and select the relevant file. 3. Wait for a while as your phone would restore the content of the backup. Needless to say, this will not only transfer iMessages from iPhone to iPhone XS, but would restore the entire content from the backup file. 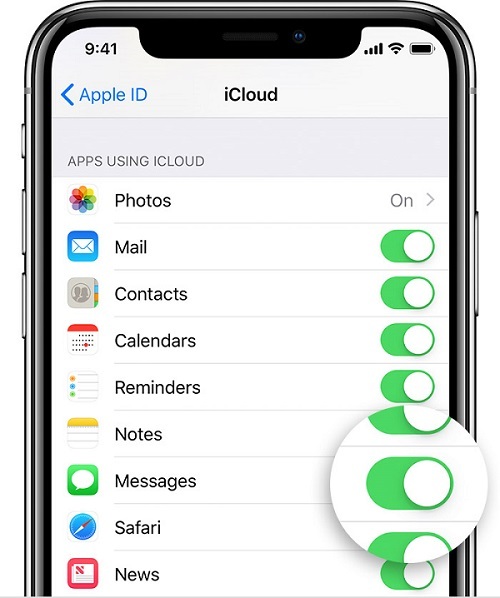 Though, if your messages are already synced on iCloud across both the devices, then you can skip this step. Just like iCloud, you can also take the assistance of iTunes to learn how to transfer text messages from one iPhone to another. To do this, you first need to take a backup of your device on the local computer. Later, you can load the entire backup and restore its content to your new iPhone. You might already know that iTunes backup includes photos, messages, contacts, and tons of other kinds of content. The only drawback with this technique is that you can’t perform a selective transfer of data. Besides messages, all the other kinds of data will also be restored. Also, if you are already using your new phone, then its existing content would be erased in the process. If you are ready to take this risk, then you can follow these steps to learn how to transfer messages from iPhone to iPhone XS without iCloud. 1. To start with, launch an updated version of iTunes on your system and connect your existing phone to it using an authentic cable. 2. Once your phone is detected by iTunes, select it and go to its Summary tab. 3. Under the “Backups” section, you can choose to take a backup on “This Computer” instead of iCloud. Click on the “Backup now” button to start the process. 4. Wait for a while as iTunes will take a thorough backup of your device. 5. 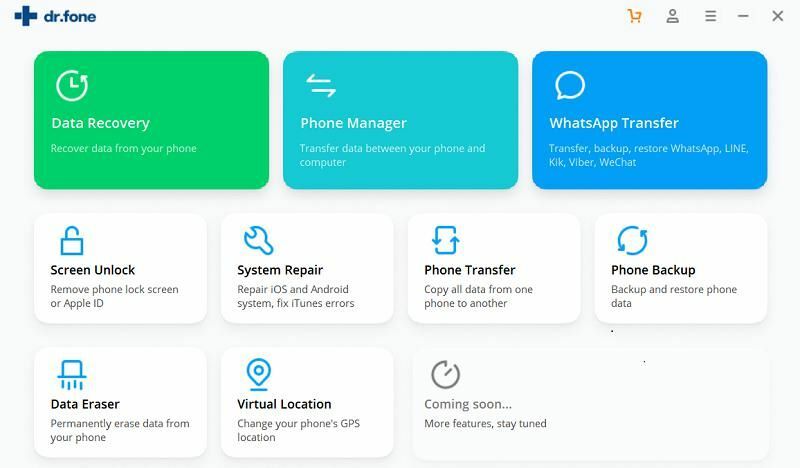 Now, remove your existing device and connect your new phone to the system. 6. Select your new iPhone and go to the summary tab on iTunes. Click on the “Restore Backup” option instead. 7. The following pop-up window will be launched from where you can select the backup file that you wish to restore. 8. Select the backup file and click on the “Restore” button. Wait for a while as your iPhone would be restarted with the restored content from the backup file. In a nutshell, there are different ways to transfer iMessages from iPhone to iPhone XS. Though, if you want to have a fast and hassle-free experience, then give iSkysoft Phone Transfer a try. It will let you transfer messages from iPhone to iPhone XS without backup through its direct device to device transfer function. Not only text messages, it can also be used to transfer all kinds of data between devices running on different platforms as well. Download it on your system right away and move from one device to another in minutes without any data loss.